An aura is defined as a human energy field. It is believed the be part of subconscious or spiritual part of the human essence. The concept of spiritual auras is taught in various different religions. In Christianity, the aura is referred to as a soul. In New Age beliefs, the aura is taught as a colored illumination that reveals the subconscious state of the human it belongs to. In some belief systems, auras may also be known as chakras, which are defined as emotional/spiritual centers in the body. Regardless of what your specific beliefs on auras are, most people agree that the human condition is made up of the mind, body and spirit. Keeping your spirit cleansed and at peace is an important part of living a healthy life. 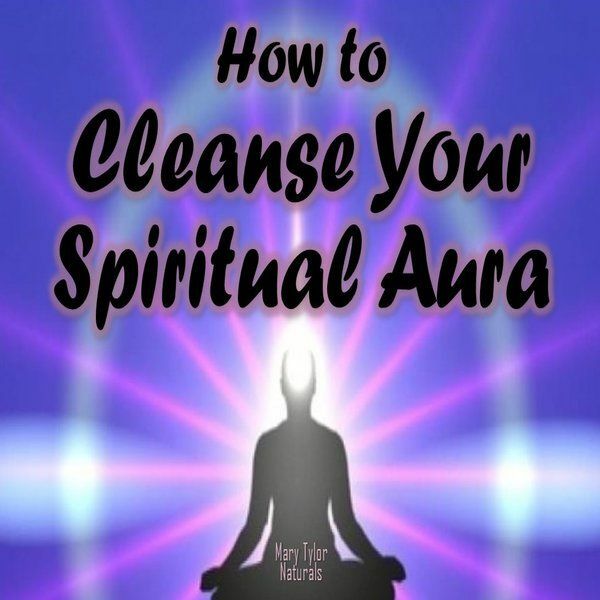 Below is a list of simple ways to cleanse your spiritual aura. 1- Meditate. Whether you meditate through prayer, transcendental meditation, or Hindu ritual, spending time in a calm mental state is beneficial to finding peace and serenity. Meditating at least three times a week can help you keep your aura pure. 2- Spend time in Nature. Sitting in the sunshine, feeling the wind blow and listening to the rain are great ways to connect to your spiritual inner being. 3- Reduce your chemical and electromagnetic exposure. Toxins, chemicals and unnatural electronic vibes can disrupt your natural harmony. Keeping your exposure to these environmental factors low will help you reduce the stress on your spiritual aura. Instead of turning a lamp on, open the shades. Turn your phone off when not in use and be vigilant of all foods and drinks you ingest. 4- Utilize the Elements. Humans are automatically drawn to the elements because we require them to survive. In the current age, we have gotten away from most exposure to the elements thanks to modern conveniences. We no longer use candles as primary sources of light or spend as much time in soil gardening due to the conveniences of grocery stores. Spending time in the elements is a wonderful way to connect to your inner being. a- Grounding- Walking around in grass/soil barefoot. b- Swimming in natural lakes, oceans, and streams. d- Sitting by a fire. e- Meditating by a candle. 5- Eliminate Negative Sources. Whether it be negative people or situations, try to avoid as many harmful influences as possible. Dark energy can come in many forms and it is important to protect your aura with positive thoughts and influences. Cleansing your aura is just like personal hygiene such as showering, it must be done daily in order to be the most effective. Take care of yourself in your mind, body and spirit. You are worth it. Mary Tylor Naturals is here to provide you with Better Ingredients for a Better Life.